Continuing with the story of Hydro’s back ground where we left off in Part I, Hydro had made his way into his first police department. His career looked bright, and up until this point I received glowing reports regarding his progress. 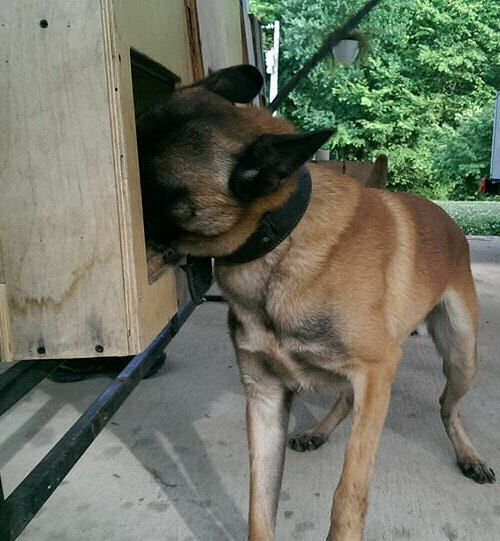 Hydro was purchased and was to start working as a police canine in a department in Georgia. His new handler had had some previous canine handling experience with a single purpose dog. Having been in Malinois for the past twenty years I can honestly say there are “user friendly” Malinois and “one handler Malinois”. 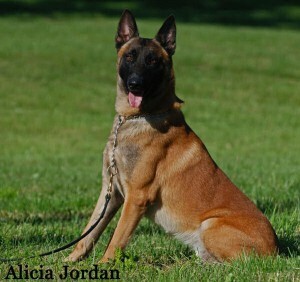 Hydro is definitely a one handler Malinois. From the time he was a baby he had his “pack” and anyone outside of his pack was an adversary in his mind. So, we went about socialization and exposure, and minimized those propensities with pairing play, food obedience, redirection, and staying on task. It wasn’t always easy (in fact, often a pain), but certainly just part of proper young dog upbringing. Trainers know that every opportunity to interact with a dog is an opportunity to learn something. Being prepared and cognizant of proximity to stimulus, reward values (toy vs food), timing, redirection, teaching defaults, arousal levels, etc. are simply second nature to a trainer (or should be). The police canine broker who prepared Hydro (advancing his man tracking, odor work, etc.) put in the necessary time to establish a bond, and often his girlfriend handled Hydro all without incident. Hydro was paired with his new handler and I didn’t hear much for several weeks. We received word that there had been an incident between Hydro’s new handler and Hydro, whereby the handler was bitten while working obedience. Initially, I didn’t think too much of it as I did not realize the severity. My initial thoughts were, “Handler withheld his toy too long and he stimulated, or he didn’t bond with the dog.”. In subsequent and more recent communication with the handler I was told that there was mild stimulation present (some sort of workers), that obedience was being worked and within the context obedience he (Hydro) was given a mild pop on the flat collar and it was on like Donkey Kong. Apparently, bites were acquired on both forearms involving punctures and lacerations, and at one point the handler went to the ground and there were bites to the mid section. Now, being a former police officer I am just trying to relay “just the facts”. 🙂 However, the dog trainer in me know better. Hydro may have been a challenging, somewhat “pain in the arse” young dog to work, but he wasn’t Cujo. What went wrong? Let’s play detective, shall we? In the months following Hydro being with me, his only “mum” he has ever known, he attached himself to the police canine broker and his girlfriend (who has been splendidly forthcoming and helpful, by the way). During this time there was likely some drive building going on which was likely not a problem for them, but does lower the dog’s impulse control. He transferred handlers, and didn’t develop a relationship with the next handler in terms of time frame it requires. I have worked many imports, problem canine career criminals, and older dogs. What I can tell readers is this: the older the dog, and the more times they change hands the longer it takes to develop a bond. So, here Hydro found himself with the third handler with whom he likely had no true, lasting relationship. Impulse control lifted, and verbal commands changed from his foundation training. He likely was a bit over aroused in his obedience session, was (in Hydro’s mind), irritated with minor corrections that he didn’t understand, and WHAMMO! What did Hydro learn? I get frustrated, I get stimulated, I get irritated and the way to make it go away is to unload on the source of the frustration (i.e., handler). Let’s go back. My foundation with Hydro was TONS of impulse control, clicker training, food and toy work, and ridiculously high rate of reinforcement for “leave it”. The single most important exercise a dog like this can learn is to LEAVE whatever you are thinking about alone, and immediately through proper timing and redirection, offer a different behavior. If impulse control (patience), and “leave it” are not maintained, you can have a volatile situation on your hands. If there is little redirection offered (watch me, come to heel, positions, etc.) the dog will quickly become frustrated and implode (or explode on the handler depending upon how you look at it). If there isn’t a clear path the success (i.e., back chaining behaviors so the dog can predict successfully accessing reward), or if you put a road block unfairly in that dog’s path to success, they just might implode. ll of the above, in my estimation, happened. So, just a few short months later he was returned to the police canine broker. His girlfriend graciously drove from Tennessee to Georgia, promptly picked Hydro up and he rode home with her without incident. They continued to work with Hydro, and all was fine. Relationship was still intact. The next blog will be about the next 3 bites, leading up to my trip to Tennessee to bring Hydro home to Arizona for rehab. Stay tuned!